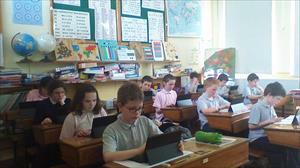 Clondrinagh National School has become the fifth school in Co. Clare to achieve a Digital School of Distinction Award. This is a government run programme which promotes and acknowledges best practice use of ICT to deliver the best educational experience for pupils at primary level. 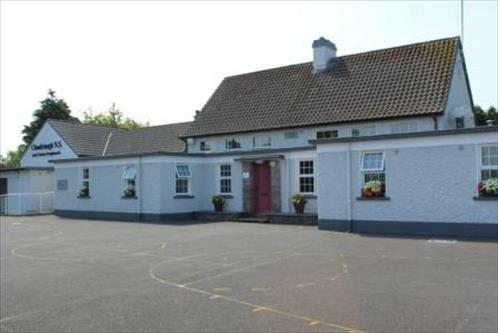 Clondrinagh National School is a small rural school in the parish of Lissycasey/Ballynacally, Co. Clare. It is situated 20 km from Ennis. With just 21 children enrolled at present, we are in an ideal position to give each child individual attention every day. The school is open from 9:00 a.m. and classes begin at 9:10 a.m. Morning break is at 11:00 a.m. and lunch is from 12:30 p.m. to 1:00 p.m. The school day ends at 2:50 p.m. Infants finish at 1:50 pm and there is an After-School Club available for them from 1:50 to 2:50. All strands of the revised Physical Education Curriculum are covered throughout the school. The children have the opportunity to play on the Lissycasey/Caherea/Clondrinagh Primary School teams (boys and girls) in the annual Cumann na mBunscol football leagues. 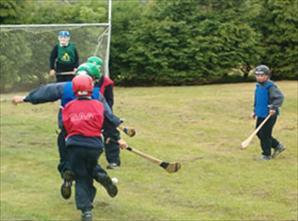 They also receive coaching from experienced hurling and football coaches each year. 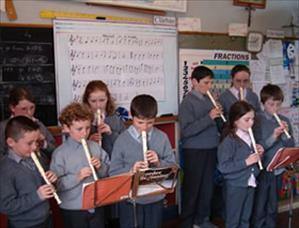 Music is considered a high priority and all children learn to read music and play recorder. We hold an annual Concert in the school where we get the opportunity to perform for the community. We go on a school tour every year. In addition, trips to music and drama events are frequently organised. Computers are used in all classes from Junior Infants to Sixth Class. Each class room is equipped with an Interactive whiteboard. The school provides each child with a tablet computer. Clondrinagh National Schools is proud to be participating in the Green-Schools Ireland program since 2011. 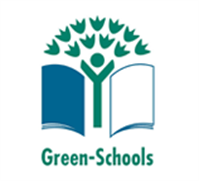 The aim of Green - Schools is to increase the whole schools' awareness of environmental issuses and to encourage everyone into positive environmental action in school and in the wider community. Green - Schools is a long term programme which is based on a thematic system. We have secured four green flags for the themes of Litter and Waste, Energy, Water and Travel and Transport. Next we will begin working on obtaining the flag for the theme of Biodiversity. This will be looking at the importance of native plants, animals and habitats.